Dennis Yu of BlitzMetrics – An Onlinejobs.ph Success Story! 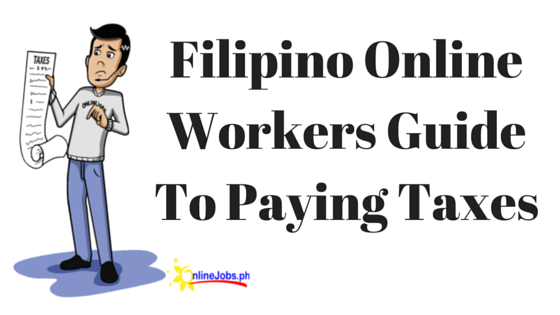 Occasionally, we discover content from employers showing how they use Onlinejobs.ph to benefit their businesses. We absolutely love seeing this because it helps us achieve our mission of uniting businesses with Filipino Virtual Assistants to create win-win scenarios. We came across this incredible Facebook post from Dennis Yu, the Chief Technology Officer at BlitzMetrics. We are so honored that Dennis and the team at BlitzMetrics are using Onlinejobs.ph in their business. I posted two jobs for hiring 3 VA’s and got 285 applications in the last 24 hours. Want to know the super-effective process for how we quickly and accurately narrowed the list down to just 15 and then down to the final group? In short, we put a ton of detail in our postings, especially with article links and a codeword for them to use in the subject line of their initial response. RABBIT is the one for our VA and SQUIRREL is for the designer. Gmail sorts by threads and by subject lines, so they automatically group responses. 50% get knocked out instantly, but sometimes I’ll make an exception (see canned note #1). Of the initial cut, we look to see if they have personalized their response. Another 50% of that gets knocked out. # Did they include a one minute video? # How good is their English? # How strong is their portfolio and profile? # Do they have a cheerful, positive personality? Maybe means no– so if not HECK YES, then NO, since there are so many amazing ones. Then we provide one sentence of personalization, not just to show we care, but to ask them follow-up clarification questions. And then we paste in canned note #2, for more content to consume and another video to make. Of the 5% that pass this filter (which is still 15 people out of 300), we are reasonably certain they would be great employees. However, we want our internal people to screen them and pick 3-4 of the remainder to hire. Of course, we don’t have to hire 3-4 people– we could do more or less based on the pool and our needs. Our needs have been growing for this type of support. one designer– to help out on guides, infographics, client proposals, skinned documents, personalized dollar bills, website tweaks, video effects, and technical stuff. 2 general VAs– to help with basic operational tasks: creating basecamp projects, assembling documents, transcribing videos, editing content, Excel work, and project management. When we get strong, full-time folks that want to do this as a career, we don’t get the flakiness that we have designed for in the specialist program, since these internal folks must be stable and here for the long-run. They’re also paid less– most are making $4-6/hour, which is good money, even for a college grad in the Philippines. We’re basically doubling this, since we want the best– folks who don’t need micro-managing and can cover multiple positions. What are you waiting for? Follow Dennis’ blueprint to find someone for your business. Want to read more stories like this? Hear out James, Marcella and Ross on how outsourcing changed their lives. I am interested in online jobs can you please guide me? Explain to me how this works.